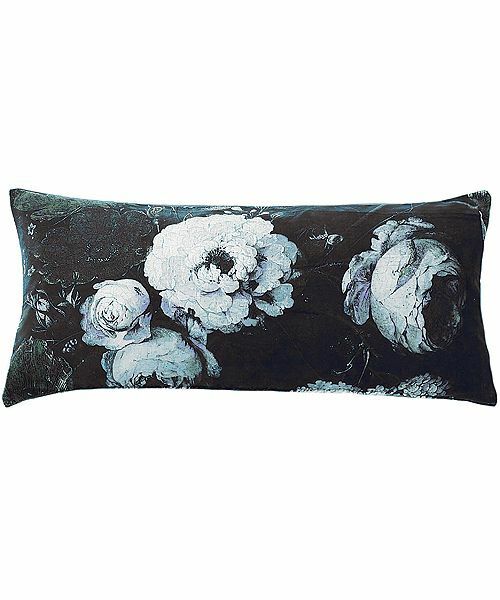 Oversize Moonlit Peony 82 x 35 cm cushion backed with plain mulberry linen union. Feather pad. You save £15.00 that's 20% off!